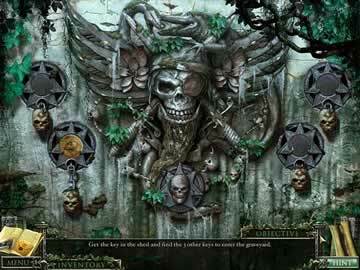 Mystery Case Files: 13th Skull Game - Download and Play Free Version! Head to a gloomy Louisiana mansion and gather clues to solve the case of a desperate family's missing husband. Things go quickly and terribly wrong for the newly-arrived Lawson family when their head of household, Marcus, goes missing. Rumor has it that his disappearance may be an unnatural event! The property once belonged to an evil pirate spirit who is believed to still haunt the area, and he may have abducted Mr. Lawson after the cursed treasure he guards was disturbed. 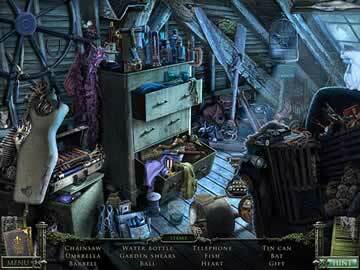 As the Detective, it falls to you to determine the facts behind this haunting case. You'll decipher clues in and around the Poncer Mansion, completing clever riddles, hunting for deftly hidden objects and interacting with live actors amidst vibrant animated backdrops. 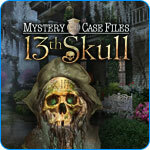 Every task finished will take you one step closer to solving the mystery of the 13th Skull!